When we started this project, I was really hoping that we would have cracked open the walls and found a bag of cash, gold doubloons or an original copy of the US Constitution. I think that everyone half hopes that this happens when they work on an old house. What I didn’t expect was that we would find snails. That’s right, snails. Tons of them. 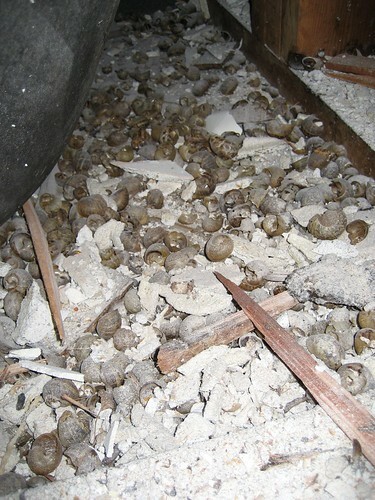 Actually not living snails, but snail shells that had infested the area between our bathtub, walls and floor. Don’t ask how they got there and yes, I’m disgusted by the fact that they were there. Things are progressingly nicely. 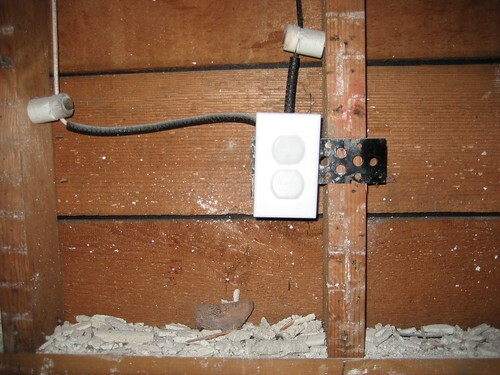 The demolition team was even wise enough to leave in the child protection caps on the outlets so that no one would get hurt. 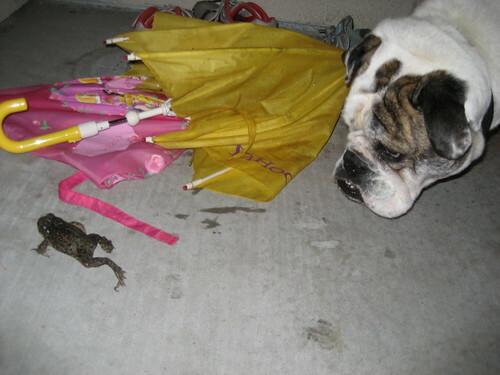 We even had a little visitor at the apartment last night. Craig’s crew seems to feel that demolition will be done this week. More pictures are on the Flickr site here.